Aguadulce (Coclí¨, Panama). Japan closes its 2011 Baseball World Cup with a win over Greece (9-4). The afternoon game in Aguadulce was played run by run in the first half while in the second the Asians increased their advantage by having six hits. 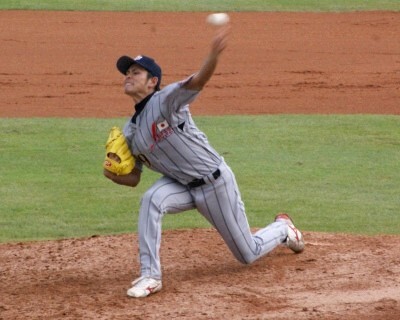 The credit of the victory went to the great performance of Japanese reliever Tomoyuki Kaida who went 5.1 innings allowing just one hit and striking out six. Japan immediately led 1-0, scoring with its leadoff Mitsugu Kitamichi who crossed the plate on a double by Toshinobu Kotegawa. Greece tied the game in the bottom of the first and went up 2-1 in the second. In both situations the Europeans put on base three players: a single by Jason Zachos and a walk drove them home. The Greek advantage led to the change of the Japanese starting pitcher who went just 1.2 inning. After the first third of the game the scoreboard showed Greece six hits and Japan just two valid ones. The tie came back in the fourth when Yuichi Tabata, hit by pitch, went to home on a RBI double by Takahito Matsuda. The second half of the game saw more changes on the scoreboard and the attendance could watch many runs. Japan scored seven times in the last four inning having six hits, two triples, while Greece tried to recover the gap, but just in the eight was able to cross home plate twice.